2) As we have said, the will to receive is innately included in the Thought of Creation with all its denominations, along with the great abundance He had planned to delight them and impart to them. And know that these are the Ohr (Light) and Kli that we discern in the Upper Worlds. They necessarily come tied together and cascade together degree by degree. And the extent to which the degrees descend from the Light of His Face and depart from Him is the extent of the materialization of the will to receive contained in the abundance. And they are four worlds, called Atzilut, Beria, Yetzira, and Assiya. The world of Assiya contains this world within it. Thus, there is not a creature in this world, which is not initiated in the world of Ein Sof, in the Thought of Creation to delight His creatures. Hence, it is innately comprised of Light and Kli, meaning a certain measure of abundance with the will to receive that abundance. 4) The reason why the will to receive must cascade by the four above-mentioned discernments in ABYA (Atzilut, Beria, Yetzira, Assiya) is that there is a great rule concerning the Kelim (plural for Kli): the expansion of the Light and its departure make the Kli fit for its task. This means that as long as the Kli has not been separated from its Light, it is included in the Light and is annulled within it like a candle in a torch. 17) Thus far we have clarified the three basic elements in the wisdom. The first is the Light and the Kli, where the Light is a direct extension of His Essence, and the Kli is the will to receive, which is necessarily included in that Light. One departs the Emanator and becomes an emanated being to the extent of that desire. Also, this will to receive is considered the Malchut discerned in the Upper Light. This is why it is called Malchut, by way of “He is One and His Name, One,” as His name in Gematria is Ratzon (desire). The second matter is the clarification of the ten Sefirot and four worlds ABYA, which are four degrees one below the other. The will to receive must hang down through them until it is completed — Kli and content. The third matter is the Tzimtzum and the Masach (Screen) placed on this vessel of reception, which is Behina Dalet, in return for which new vessels of reception were made in the ten Sefirot, called Ohr Hozer. Understand and memorize these three foundations and their reasons, as they had appeared before you, since without them there is no understanding of even a single word in this wisdom. At last I discovered that they [The East] call the unconscious consciousness, indeed enlightenment. ~Carl Jung, ETH Lectures, Page 204. "Yet much of our western neurosis comes from the fact that we do not find enough time for ourselves; it would be wiser to meditate and seek the Void when we need rest, than to run after outer distraction." ~Carl Jung, ETH Lectures, Page 128. "In the renewed world you can have no outer possessions, unless you create them out of yourselves. You can enter only into your own mysteries. The spirit of the depths has other things to teach you than me. I only have to bring you tidings of the new God and of the ceremonies and mysteries of [t]his service. But this is the way. It is the gate to darkness." ~Carl Jung, Liber Novus, "Draft" Footnote 163, Page 246. Human nature [hsing] and consciousness [hui] are expressed in light symbolism, and are therefore intensity, while life [ming] would coincide with extensity. The first have the character of the yang principle, the latter of the yin. ~Carl Jung, The Secret of the Golden Flower, Page 101.
where everything is contained but in potentia, as a possibility, anything can come out of it. ~Carl Jung, ETH Lectures, Page 254. How do we explore the depths of our reality and experience, seeing underneath that which appears on the surface? Traditions of 'Light' continue to inform our conceptions of reality. Traditions of 'Light' continue to inform our conceptions of reality. What we call reality and consciousness depends on our level of observation and mystical penetration. The most common error is conflating Consciousness and Awareness. Consciousness is a product of widespread communication, while awareness is a focal capacity. Do our attentional habits create our experience? Neurologically, consciousness appears to be an emergent property of operational information propagated throughout the brain and psychological space. But we should carefully avoid materialistic errors of category and levels of observation. Can we directly experience the unified field? Correlations are drawn between the zero-point field and the pre-personal depths of transcendence. Darkness is the gate to light. The field of cosmic consciousness is described as a cosmic emptiness—a void that is paradoxically also a fullness. Can the mind travel through meditation to eternity? The biggest gaps in our knowledge concern the universe as a whole and our entanglement with it. We don't understand Nothing, which is virtually everything. Ontology is the philosophical investigation of existence, or being. It may be directed towards the concept of being, asking what ‘being’ means, or what it is for something to exist and/or what exists?’, or ‘what general sorts of thing are there?’ It is common to speak of a philosopher’s ontology, meaning the kinds of thing they take to exist, or the ontology of a theory, meaning the things that would have to exist for that theory to be true. All seekers have these basic assumptions about reality based on their experience and worldview. Epistemology describes how we know what we know and what it is subjectively like, metaphorically. It is concerned with the nature, sources and limits of knowledge. There is a vast array of views about those topics, but one virtually universal presupposition is that knowledge is true belief, but not mere true belief. Our own personal epistemological metaphors are how we describe our subjective experiences to ourselves. They condition our experience, but they can be morphed in therapy, through trauma, by propaganda and enculturation. Metaphysics is a broad area of philosophy marked out by two types of inquiry. The first aims to be the most general investigation possible into the nature of reality: are there principles applying to everything that is real, to all that is? We can abstract from the particular nature of existing things what distinguishes them from each other, and what can we know about them simply because they exist? Even the philosopher with a low opinion of the prospects for traditional and "woo woo" metaphysics can believe that there is a general framework which we in fact use for thinking about reality, and can undertake to describe and explore it. We can inquire into our most general patterns of thought, and the nature of things themselves only indirectly, if at all. Perhaps it does imply that there is a small but fairly stable core of human thought for it to investigate, but this collides with Postmodern thought which rejects meta-narratives. We tend to think with awareness of our thoughts. We analyze and logically assess our thoughts. We decide if the thought/idea/belief is right, true, and correct, for us, or not. We either give it subconscious access or we reject it, in effect bounce it out. When subconscious access is allowed, we amplify it in our imagination. We locate memories to justify, validate, and defend it. We feel it. We do it. Our emotions drive our behaviors because we tend to behave the way we feel. When we waken from one of these philosophical dreams into another, we find the crumbling 'truths' were simulations or simulacra all along. What felt authentic, even sacred, at the time is revealed as a sham. A change of heart correlates with the revisioning. The belief's charge of divinity came from the believer's attribution, not its inherent qualities. It is now revealed as a projection. We tend to 'worship' the dynamics of our understanding, divinize the presumed truth of a numinosum -- ontologically, historically, and personally. We have scientific explanations for most of the phenomena that were considered divine powers until a few decades ago. Pre-scientific explanations usually included magic or divine intervention. We've plumbed the galaxies and universe back to the beginning of time, cracked the codes of life, and the workings of the brain. But we can't explain ourselves, much less how we are frequently duped by our subjective experience - or our interpretations of that experience. Our environment is no longer more mysterious than the unsolved Mystery inside ourselves. We've consumed subject after subject in science and metaphysics in a feeding frenzy. But, we still haven't plumbed the depths of our own consciousness, which is riddled with paradoxes and weird properties. Our sense of Self imposes a sense of unity on our morphing essence, but science can't find this core self in our hardwiring. The "I's have it" and try to make sense of what the other "I's" are doing. Consciousness eludes both scientists and the common person, but we remain sure we exist, even though physics has shown that the basis of all existence is quite ephemeral. The world of objects has disappeared in the waves of a quantum magic wand. So-called Reality is not at all solid, emerging from the primordial Nothingness beyond the mystic veil of biological and inorganic corporeality. Nothing Matters. Nothing has been the same since science convinced us we DO live in a vacuum (fluctuation). It is right here within the zone of our bodies. The ideological equivalent was the diversified relativity of Postmodernism, a bleak vision which can be summed up as the philosophical, intellectual and aesthetic equivalent of "Been There; Done That". But when he finds himself divided, he will be full of darkness. Paracelsus says that man has a mind in order that he may understand the truths which are made known in the Gospel, and only for this purpose. But on the other hand man has also a "lumen naturae" (a natural light), a source of knowledge hidden in nature, from which he can draw enlightenment. ~Carl Jung, ETH Lecture V. Page 162. Human nature [hsing] and consciousness [hui] are expressed in light symbolism, and are therefore intensity, while life [ming] would coincide with extensity. The first have the character of the yang principle, the latter of the yin. ~Carl Jung, The Secret of the Golden Flower, Page 101. There is a void outside of existence, which if entered into englobes itself and becomes a womb. In kabbalah there are two voids, one before self-actualization [the Gulf; Veil of Paroketh] and one after it [Da'ath]. Between these two opposing perspectives of reality is a gulf, which is referred to as the Lesser Abyss. Crossing it is the task of the adept. This gulf is a gap, wall is the half-way point between Higher Self and personality. Trauma can also be a void experience. In modern Kabbalah there is a well developed notion of an Abyss between the three supernal sephiroth of Kether, Chokhmah, and Binah, and the seven lower sephiroth. When one looks at the progress of the Lightning Flash down the Tree of Life, then one finds that it follows the path structure connecting sephiroth except when it makes the jump from Binah to Chesed, thus reinforcing this idea of a "gap" or "gulf" which has to be crossed. This notion of an Abyss is extremely old and has found its way into Kabbalah in several different forms, and in the course of time they have all been mixed together into the notion of "the Great Abyss"; the Great Abyss is one of those things so necessary that like God, if it didn't already exist, it would have to be invented. As seen in therapy, the void experience may result from the early failure of external objects to meet the needs of the developing ego, which leads to the sorts of primitive terrors that Winnicott described, or it may result when the Self itself seems threatened with annihilation, which may be more to do with a rupturing of the ego–Self axis. In the first case the fear is of disintegration, whereas in the second the experience is one of the living dead, as though the individual is cut off from her life source. But more than that, the intrusion of the void into the conscious experience of so many of us implies that its occurrence is not only the result of severe trauma but also a necessary aspect of the individuation process. In certain of the void states, particularly those arising from severe trauma, memories of past events have disappeared as though sucked into a black hole. In others it is the emergence of the psyche into the white light of a higher consciousness that may be experienced in a threatening way. To feel the presence of the void is to reach the edge of the known world, inner or outer. It is a liminal state that extends backwards from the far side of memory yet continually emerges from the forward edges of our experience. It is by nature frightening and, usually, well defended against. defended against rigidly and what seems to be necessary is to help them find structure and meaning in their lives, i.e. non-void attributes. image within, a numinous sense of the ultimately unknowable reality of the totality of the psyche as well as the organizing principle of that psyche. And when I use the word God it means something similar, which is an inner numinous experience. all the opposites but in such perfect harmony that they cancel each other out and thus cease to exist as separate entities. The pleroma contains everything in potentia, including nothing. The things that crystallize out of the pleroma, taking on their discrete identities, are called creatura, literally the created. “yawning” (Graves, 1955, volume 2, p. 385) which suggests a gaping or open space into which things might fall. with the depths of the unconscious. (ibid., p. 251) Wisdom surfaces from the yawning depths, out of the chaos that links both the all and the nothing. The abyss or abysm suggests a deep hole, something threatening. It has connotations of the underworld, darkness, and bottomlessness. It seems more sinister, less neutral than the void. Whereas the void extends in all directions the abyss’ extremity is its depth. dead whereas darkness teems with life. Kandinsky writes: “Black is something burnt out, like the ashes of a funeral pyre, something motionless like a corpse. The silence of black is the silence of death.” He refers to it further as “complete non-resistance, devoid of potentiality.” (Kandinsky, 1955, p. 61) We can fall into or be swallowed by black. In the astronomical concept of the black hole not even light can escape its gravitational pull. Meaninglessness is another state that can be experienced as void; a space that is not bounded by meaning or that is empty of meaning. Whenever we come up against something that we do not understand, we are touching the void. One of the most efficient defences against that void is to attribute significance or meaning where none obtains, but that defence itself constellates a state of closure that is empty of deep meaning. Apart from emptiness and fullness it is also equivalent to the Great Mother, the Archetypal Psyche, God, the Self, and the Collective Unconscious. It particularly refers to the ego’s relationship to those concepts, the ego is as nothing compared to them and when it engages with them it is in perpetual fear of dissolution or death. If the ego can relate to them, this brings a sense of connection and meaning to it. What happens when that relationship is lost is imaginable if we think of what happens when our mother dies, or when God is dead, or when no Archetypal or imaginal images can come to one. the world without, the result is always an incompleteness. The small percentage of the survivors of severe trauma who achieve enlightenment through their suffering, becoming wiser than they were before, achieve this through their capacity to incorporate the unthinkable into their world views. They have looked on the dark face of God and the twisted face of man and know that it is so. desires, we separate ourselves from reality, alienate ourselves, become alone. In bemoaning that which “is”, judging life from an idealized ego position, we see things one-sidedly and life feels futile. By accepting life as it presents itself, empty or full, with its paradoxes, its pains, and its joys, we connect with something greater. We are not that thing which we connect with but neither are we alone and in a void. By accepting life as it is we become one with it. clear whether the flooding, or the dissolution within the mother, will result in the gift of a new birth or eternal loss. Jung explains how, in a process beyond that of individuation, the individual psyche becomes subsumed into the unus mundus as an individual part of the ‘one world’ or whole. In this state some form of consciousness seems to exist but it is experienced as separate from and not identified with personal consciousness. results in a psychic equilibration of opposites “in the overcoming of the body”, a state of equanimity beyond the body’s affectivity and instinctuality. an aspect of that felt emptiness, the emptiness begins to become bounded; one can start to differentiate what is and what is not part of the void and that sets limits to it. the feelings of emptiness that are the natural concomitants of an openly experienced life. Rhythm and the normal breaks in rhythm must be accepted and tolerated for any meaningful growth to occur. Rhythm keeps us safe from the pre-conceptual void of meaninglessness, while, if we have experienced both its presence and its absence, we may feel supported in our reaching towards that state where all rhythm breaks down and only the sound, or its absence, of the deep drone that is God’s voice, is audible. Is consciousness a primordial factor of existence, an irreducible dimension of nature? Physics tells us our experience is inherently subjective -- an objective world independent of the observer doesn’t exist. Particles and Observer are entangled at the quantum scale, so observation affects the matter being observed. Fundamentally, in a holographic model, each part is related internally to the activity of all other parts and the whole. When the realm of discrete objects is transcended, everything becomes united in an indivisible whole. The Heisenberg uncertainty principle describes the Planck scale where energy may momentarily decay into any field of particles and antiparticles and then annihilate without violating energy conservation laws. So, ‘creatio ex nihilo’ continues uninterruptedly at the smallest scale, which is the non-zero vacuum expectation value. Matter is continually emerging from and dissolving back into a nonmaterial unified field. Physicist David Bohm compared anomalous experience and the "stream of consciousness" with the movement of matter, describing a process-oriented basis for physics. The vacuum potential may well be the spring -- the source -- of that stream flowing from the deepest level of existence. Mihály Csíkszentmihályi called 'flow' the state of intrinsic motivation, optimal creativity, and human fulfillment. Bohm tended to place more faith in intuition than he did in mathematics so his understanding came from probing more deeply into underlying assumptions of physics and quantum theory. He suggested the flow of thought itself may be part of reality as a whole. He considered the ground of consciousness not as elementary particles but pure process -- the flowing movement of the whole. He called this 'holomovement' the implicate order and recognized its infinite potential behind active information and nonlocality. In the undivided Universe, Bohm described field variables and their superwave function, replacing the field variables of particle variables. He predicted a stochastic (virtually random probability) sub-quantal and sub-relativistic level where the current laws of physics fail. Quantum information encoding means that if we split the system apart we can learn something from correlations among the parts. This is the nature of entanglement. The quantum warp and woof of space-time correlates with entanglement, binding the synergetic nodal system together. Entanglement is like the 'glue' that holds together the pre-geometries of interacting nodes of space-time, where information is encoded. Manifestations are real at their own level of operation. All perceptions, thoughts, and creative dynamics arise from this underlying transcendent field, known classically as the Clear Light or Primordial Awareness.The Sufis say their imaginal realm of spiritual reality is composed of light which surrounds and contains everything external or visible in the physical world. Background consciousness is the sense of self, but we must also include the archetypal and psychological ideas we have regarding our perceptions. The deeply unconscious is the ground of our psychophysical being. Virtual states are structural potential -- mathematical forms or patterns of information taking the form of waves that are invisible because they are empty. Part of us sustains a chemical vector, another part an electric plane, and another a magnetic plane, propagating orthogonally to one another. Their interrelationship is a complex informational field that is perhaps orthogonal to the magnetic field. Carrier waves move signal waves of information. All frequencies are ultimately information. It seems our sensory filters can be fine tuned to the environment or augmented with instinct, intuition, inference, and inspiration in a way that accesses hidden information. The role of resonance, resonant oscillations, and indirect coupling in such interactions, non-physical phenomena, as well as signal-to-noise ratios, deserves further research. We can compare this with Jung's concept that behind our conscious awareness is a realm of unconscious or proto-conscious forms or potentials, including entities with no mass or energy but tangible effects. For example, molecules are guided in their actions by the wave forms of their quantum states, or their virtual states, like by inner images. In chemistry, a molecule only does what is allowed by a wave form—an inner image—of one of its virtual states. In this way, quantum wave functions operate like archetypes. Without hypostatizing the idea to some otherworldly plane, Jung suggested our primordial behavior is informed by archetypal images. This is the difference between a psychological and a metaphysical, "spiritual," or religious approach and worldview. Jung saw consciousness as "essentially the psyche's organ of perception, it is the eye and ear of the psyche." Even the scientific view is still infused with unconscious myths and symbols, as "all that comes into our heads proceeds from the unconscious." (ETH Lecture II, April 27, 1934, pg. 98). If we are convinced that we know the ultimate truth concerning metaphysical things, this means nothing more than that archetypal images have taken possession of our powers of thought and feeling, so that these lose their quality as functions at our disposal. The loss shows itself in the fact that the object of perception then becomes absolute and indisputable and surrounds itself with such emotional taboo that anyone who presumes to reflect on it is automatically branded a heretic and blasphemer. (C.G. Jung, Mysterium Coniunctionis, CW 14, par. 787). What is the difference between a subjective knowledge-based reality and an observer-independent reality? Scientific truths and possible realities seem to emerge from the collective psyche ('transpersonal unconscious', 'objective psyche') (Jung, 1917, p.66, fn. 4) into consensus reality (beliefs about the true nature of reality). Mystics base their worldviews on proactive engagement and immersion in just being -- direct observation of self and cosmos, rather than mathematical models. This inner physics is an imaginative, intuitive, and qualitative experience. They navigate the inner field by recognizing patterns seemingly beyond human mental constructs. They turn their observational skills inward on their own operational machinery and find proto-conscious cosmic dynamics at the root of the process which they describe in poetic insights. For religious man the major difference in the differentiation of space was between cosmos and chaos -- a primal division of sacred and profane space. It may be as Jung said, that the foundation of the unconscious is not chaotic, but has a distinct organization (ETH Lectures, 1935, p. 190) that conflates inner and outer space. Our ancestors imposed their notions of cosmos on chaos, including symbolic variations of the axis mundi, connecting heaven and earth (pole, pillar, tree, ladder, mountain, ziggurat). The Precession of the Equinoxes, a 26,000 year cosmic cycle, is the prime example of such schemas. Such 'grounding' made man the center of the universe, exemplifying the hermetic maxim, "As Above, So Below." For the non-religious, space is uniformly neutral. However, plausible scientific theories and concepts still compete with philosophical ideas and a plethora of emotionally-based metaphysical and pop notions for acceptance by the general public. Our ideas about the nature of Nothing have expanded into a few potentially graspable concepts. Bohm taught that quantum theory and geometry are united at the outset, emerging together from pre-space. We now realize we aren't the center of the universe, but also that a universal creative process literally resides within us connecting us to a metaphysical core that is the ground of our being. Inner order remains the foundation of our psyche. We still yearn for a conscious life with authentic meaning. The meaningful space about which we are really concerned is that between the known and the unknowable. Our picture of space continues to evolve over time, as it has for thousands of years. Some contend most of the mass in protons comes from the fluctuations of 'empty' space. Other theories invoke dark energy or another mysterious component of empty space, the Higgs field, that gives particles the property of mass. Without the Higgs field, electrons would fly at the speed of light, and atoms would instantly disintegrate. More poetically, human consciousness has been described as a cork floating on a sea of unconsciousness, whose waves are shaped by the sea-bed, another metaphor of the groundstate. Mystics speak of turning consciousness inward backward into the very depths of our being. They witness a light that brightens the inner space of the subjective self -- a luminous essence, brilliant and transparent. Can we unpack the nature of Nothing? Is 'empty' space a no place with no time and no laws? Panpsychism suggests that everything in the universe might be conscious, or at least potentially conscious, or conscious in certain configurations. Panprotopsychism postulates that fundamental physical entities are proto-conscious. Some fundamental physical entities have protophenomenal properties (Chalmers). Naturally, there are arguments for and against such notions, just as for materialism. Hu and Wu (2002) suggest a non-dual "spin-mediated consciousness theory based on pan-protopsychism: "We postulate that consciousness is intrinsically connected to quantum mechanical spin since said spin is embedded in the microscopic structure of spacetime and may be more fundamental than spacetime itself. Thus, we theorize that consciousness emerges quantum mechanically from the collective dynamics of "protopsychic" spins under the influence of spacetime dynamics. That is, spin is the "pixel" of mind. The unity of mind is achieved by quantum entanglement of the mind-pixels." We live in a quantum sea of light, radiation and tidal forces conflated with the energy density. Light is the fundamental archetype of reality. It appears when the Ouroboric zero-point bursts open in radiant glory, from the unfathomable primordial darkness, as photonic light and undifferentiated consciousness. As such, it becomes more than a metaphor for human consciousness and primordial awareness – the invisible ground of pure light. This “ground of becoming” may be characterized as a relative vacuum state of consciousness, voided of all manner of mental activity. This mental phenomenon can be accessed through meditative quiescence, the cultivation of nondual contemplative insight. When the conceptual mind stops consciousness beholds itself. Such relative and ultimate vacuum states of consciousness can be correlated with relative and absolute vacuum states of space presented in contemporary physics. Primordial awareness correlates with the minimum fluctuation of the energetic vacuum. Still, the Buddhists caution emptiness, as they use it, does not mean an absolute reality or independent truth. How can we integrate different theories relating to the basis of reality? No shortage of comparisons and correlations between spiritual notions and scientific theories has been made. This article focuses on descriptions of the physical and metaphysical origins, properties and behavior of light – virtual, photonic, and symbolic. The biggest gaps in our knowledge concern the universe as a whole. Quantum cosmology attempts to describe how the universe emanates from the void. Kant said space and time are the necessary categories of thought. Einstein taught us to think in terms of an interwoven spacetime. We comprehend our experience in terms of space-time geometry. A dynamical geometry, the psychophysical twelve-dimensional matrix, informs our very being. Consciousness-researcher David Chalmers suggests that perhaps the universe exists in terms of psychophysical laws, and that consciousness may involve both an information state and experiential state. Symbolically, the Absolute is represented as Source, Fountain or Well, the Center, the One, the All or Whole, the Origin (Arche). This Principle or Primordial Cause is Sacred or Holy, Mystery, the Ultimate. The “original ground” is the concept of an unconditioned reality which transcends limited, everyday existence. We don’t need to worship, literalize, or concretize such qualities to recognize their evocative power. The archaic mind (unconscious) is constantly aware of the sacred. 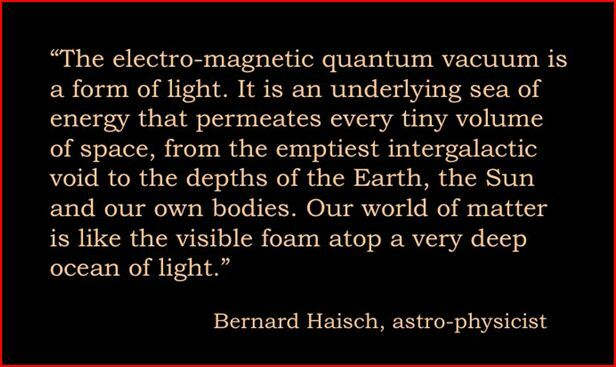 The Absolute reveals reality as light -- a background sea of light known as the electromagnetic zero-point field of the quantum vacuum. At the lowest energy state, the zero-point field is the unobservable root of all energy. The immediacy of the unmediated nonlocal reality is the zero point field, which connects the smallest quanta with distant galaxies. How do we explore the depths of our reality and experience, seeing underneath that which appears on the surface? Consciousness is impossible to measure objectively. What we call reality and consciousness depends on our models of scientific and psychological observation and mystical penetration. Conjecture begins with the conundrum of the mind-body problem and heads toward musing on the meaning of life. Is the fundamental basis of reality a constant state of becoming -- potential emerging into actuality? Are we capable of understanding ourselves and the universe? Consciousness still straddles the borders of science, philosophy, and spirituality. Groundstate, structure and pattern are fundamental. However, we can describe at least three functional aspects of consciousness and focus of attention that relate to personal and collective conscious-unconscious phenomenology and models of reality -- the way we perceive it, the way we imagine or interpret it, and the unified ground underlying existence as proto-consciousness. 3) Non-dual unity and totality; the universal, suprapersonal or global aspect of dimensionless abstraction, we call "Consciousness," or 'God' in potentia. Is consciousness fundamental or emergent? The most common error is conflating universal consciousness and self-awareness. Absorption is the ability to maintain focused attention on a task or stimulus or "openness to absorbing and self-altering experiences" (Tellegen and Atkinson, 1974). Mystics also describe a series of meditative absorptions (Gowan). Is matter fundamentally endowed with a quality of consciousness? Neurologically, consciousness appears to be an emergent property of operational information propagated throughout the brain and psychological space. The emptying of psychological space is direct experience of the primordial ground -- unconditioned primordial awareness. But we should carefully avoid materialistic errors of category, levels of observation and experimenter bias. There are scientific truths and possible realities that seem to emerge from the collective psyche into consensus reality (beliefs about the true nature of reality). Plausible theories and concepts compete with pop notions for acceptance. How can we integrate different theories relating to the basis of reality? There is no shortage of comparisons and correlations between spiritual notions and scientific theories. This article focuses on the archetypal light motif that structures other layers of nature -- descriptions of the physical and metaphysical origins, properties and behavior of light – virtual, photonic, and symbolic. We need to move from an 'objective' worldview to one more event oriented. What is the irreducible basis of the universe and the material of fundamental reality? Researchers continue to study consciousness not only as the source of the human mind but of all energy and matter. Elemental consciousness is viewed as the essence of the universe, a unified field which gives rise to and pervades all manifest phenomena. Is mind in nature a form of electromagnetic information source that interacts constantly with molecules, including DNA? 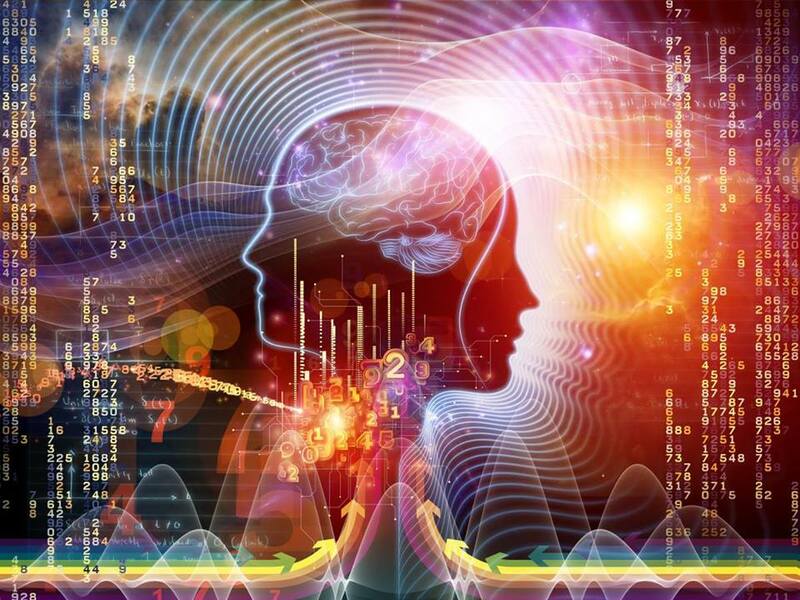 The matter-brain-mind connection may well be electromagnetic, and holographic, and morphogenic information fields, and rooted in the vacuum fluctuation, operating nonlocally (nonconscious) as well as with gradients, currents and chemicals. The Void is not devoid. It is void of physical particles. It 'breathes' light into manifestation. The zero-point field is the ground state energy of all fields in space. Matter is an insubstantial wave function (a potential) at the quantum level. The collective potential of all particles everywhere with their individual zero-point energies is one universal zero point field. Nature has been hiding the zero-point field (zpf) in a blinding light. Since it permeates every atom in our bodies, we are effectively blind to it. It blinds us by its presence. What we do see is all the rest of the light that is over and above the zero-point field. We cannot eliminate the zero-point field from our eyes. Even with its distinctive pattern of dynamic electric and magnetic fields in continual fluctuation, the vacuum remains the simplest state of nature. Life takes refuge in a single space - absolute space. Classically, absolute space (not relative space) is considered non-causal in relationship to manifest phenomena. But we are beginning to describe it more accurately as non-linear, non-local and/or entangled with all events and objects of the phenomenal world. All events emerge from the framework of absolute space. Though insubstantial it has properties, qualities, and ramifications. 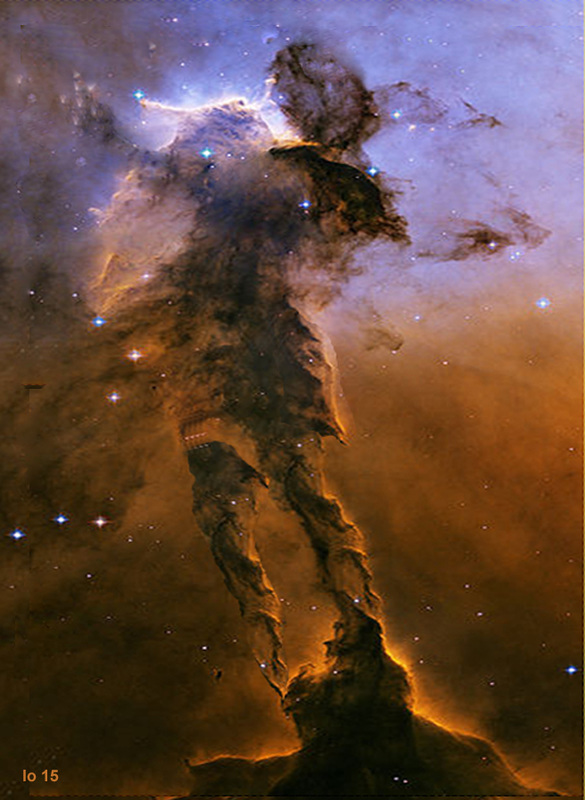 The study of space supersedes the study of matter in motion. We cannot know absolute space, but the ground of our being that arises beyond our observation can be inferred by its tangible effects. It implies that all the matter in the universe is interconnected by a virtually infinite ocean of electromagnetic waves, creating a universal entanglement. Nonlocal correlated physical systems may be entangled via the space-time they occupy. Electromagnetic energy may facilitate the observation of entanglement by altering probablilities in shared spaces. Quantum particles can be linked a special way to act like one entity. It means we are connected by the primal field through all matter to the furthest reaches of the universe. Space and geometry are fundamentals of natural science. A supercharged zero-point field with a large energy density is now considered a real entity, not merely an artifact of quantum mechanics. Zero-point fluctuation perturbs electrons in their orbits, leading to shifts in frequency. Atomic decay and spontaneous emission are zero-point field effects. Interaction of matter and the field correlates with resonance, uncertainty, wave-particle duality, and fluctuating particles. Quarks and electrons jiggle from zero-point interaction. They are also perturbed by the secondary fields of all other matter jiggling. Matter emerges from and depends on dynamic interchange of subatomic particles with the zero-point field. In a self-generating feedback, the zero-point field drives the motion of subatomic particles. Reciprocally, the motion of all the particles in the universe generates the zero-point field – an ouroboros process. The concept of matter becomes ephemeral and provisional. Interactive electric charges awash in a sea of electromagnetic and other fields create a sort of cosmic inertia through electromagnetic drag. Instead of mass there is only charge. Perturbation of the zpf may produce gravity and curvature. Research suggests a specific resonance frequency for particle-zpf interaction may give rise to inertia. Such notions must be kept in context and self-consistent with a real non-gravitating zpf. There is a regular transition of the wave properties from massive particles to entangled photons. Yet despite extensive experimental work, the origin of these waves is not well understood from the theoretical side. Waves of de Broglie type can be regarded as the natural manifestation of a higher dimension of the kind needed for the unification of the interactions of physics. Haish-Rueda-Puthoff (1994) suggested that both inertia and gravitation are electromagnetic phenomena arising from interaction with the zero-point field. Wave interference information encoding might account for coherent particle and field structures. Information is as or more fundamental than energy or matter -- the main ingredients of reality. An information process runs physics. The information theory of the universe models bits of information as fundamental, while neurodynamics conceives of quanta of information. Holonomy supersedes general systems theory and thermodynamics as models of brain/mind/consciousness. Emergent nonlocal quantum information self-organizes matter, life and consciousness. Matter, energy and consciousness are expressions of the same informational order. Fredkin says, "At the much higher level of complexity life, DNA--the biochemical functions--are controlled by a digital information process. Then, at another level, our thought processes are basically information processing." Changes of the sub-quantum level are described as "virtual" and unobservable. This ground energy state is the repository of all fields and all virtual particles. It emits and reabsorbs photons, electrons, and all the quantum particles in the universe. This is the virtual substructure of scalar, vector, and tensor potential. The vacuum, which plays the key role in structuring universe, is a cosmic virtual state hologram. The quantum vacuum is a dynamic massless scalar field. A hologram is a scalar field. Scalars are just active information; a hologram is pure information. A simple definition of information is ‘any form of radiation that communicates one or more properties of a physical entity to another physical entity.’ How does that information transfer between systems work? Is consciousness actually information, or an emergent property of universal information? The photon is considered a hypothetical means of information transfer. Lucas Tessaro suggests that "the binary representation of information could reflect the fundamental unit of the Universe, the photon. Being both electric and magnetic, the photon could represent information with patterns of photon activity oscillating between these two states. The presence of electromagnetic fields similarly reflect this dualistic conceptualization of the photon. The presence or absence of photons, the state of those photons, and the associated correlates of those photons (frequency, intensity, density, etc.) likewise could play a role in the conditioning of space with information." This gives rise to the relatively recent notion of "space-memory", but that is beyond the scope of this paper. The creation of consciousness remains as big a mystery as the creation of the universe. Entanglement is a property of nonlocal quantum correlation. Nonlocal coupling is not transfer of information. Microcosmic quantum entanglements can scale up into macrocosmic effects including mental phenomena. Consciousness and matter are emergent phenomena. The goal of psychotherapy is to facilitate the optimal emergence of conscious awareness from objective or primordial psyche. It is a psychological approach to religious imagery and myth which also incorporates physics and biophysics. Psychologically, incarnating divinity becomes a process of living awareness of the transpersonal center of the psyche, which is only known through images, including the God-image. Various images and metaphor of Light have always been used in religion and metaphysics to describe such states. 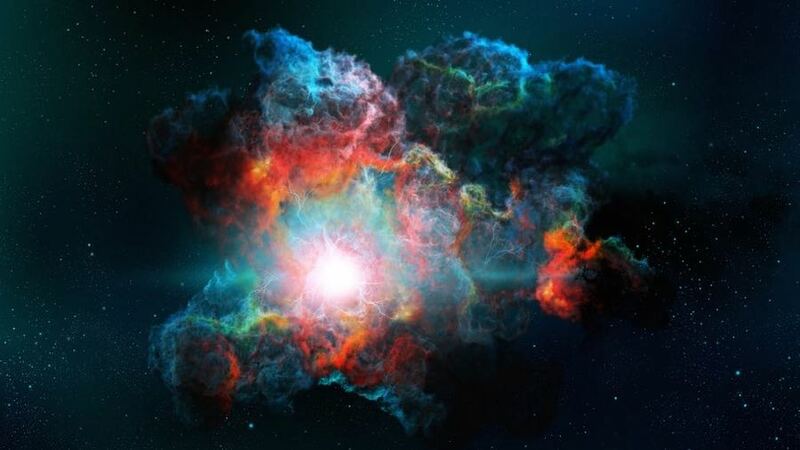 Jung suggested that the purpose of human life is the creation of consciousness, which he defined as a psychic substance connected to an ego. Unperceived contents remain unconscious. Using self-reflection, repeated separation of the knower from the known represents increments of consciousness. Authentic consciousness emerges from experience of being the object of consciousness. Such “inner knowing” is gnosis leading toward meaning and nondual experience. Such gnosis is emergent 'field knowledge'. That man and the universe are a vast enterprise for creating consciousness is the new central myth with aspects that unite cross-cultural worldviews. Another part of the new myth is that authentic consciousness achieved individually is never lost. Can it be that every human experience augments the sum total of universal consciousness? Are we each a crucible for the creation of consciousness? The total of our conscious experience may accrue to the collective treasury of the archetypal psyche – the collective unconscious implying earthly life may be transferred to the divine or archetypal realm at some informational level. Such notions are understood psychologically, rather than religiously or literally. Deep meaning arises from the realization of the self, which is metaphorically described in terms of the emergence or embodiment of light. Entanglement is an essential feature of quantum mechanics where photons can be intrinsically and absolutely linked. Dean Radin and others suggest consciousness may be linked to field effects of entangled particles in the brain. Quantum entanglement is a physical phenomenon exhibiting nonlocal behavior or (10,000* times) faster than light communication, but we don’t have equipment to measure that phenomena (SciAm). In quantum information theory, elementary particles become entwined when they interact. Quantum particles theoretically exist in every possible state at the same time. For example, unless measured, a photon can spin vertically and horizontally at the same time, expressing potential for polarization. Atom-photon pairs have been created experimentally (Johnston). Probabilities or superpositions give rise to uncertainty which gives rise to entanglement (which is also the alleged source of the arrow of time). Entangled particles represent a probability distribution. As quantum uncertainty spreads, particles become increasingly entangled. Entangled particles seem to share one big entangled state. As they become more correlated with one another, the particles become increasingly entangled with one another. Individual particles lose their autonomy entrained to the collective state. When correlations contain all the information of the holistic system of entangled particles, and the individual particles contain none, particles stop changing, having arrived at a state of equilibrium with rare, random fluctuations. Information becomes increasingly diffuse, but never completely disappears. Seth Lloyd says, “The universe as a whole is in a pure state. But individual pieces of it, because they are entangled with the rest of the universe, are in mixtures.” A new ontology is implied if the universe is one big entangled object -- a conscious universe. Bohm and others contend that each part of the universe contains information about the entire universe. Information about all systems in the universe exists as a potentiality in every system. But each system in the universe only manifests information in a specific range so it can never manifest all the information that is available to it. Individual human minds have nonlocal aspects. However, it also means there is nowhere information about our existence does not exist as a potentiality. It also implies some of that systemic information is potentially directly available to us from the pervasive zero-point field or Cosmic Microwave Background Radiation (Thakur). Our subconscious accesses and analyzes information outside our conscious awareness. It emerges as intuition and creative flow. ‘Consciousness’ is characterized as primordial, undifferentiated, nonconscious, or unconscious. The holistic fabric of reality is simply connected. Simple consciousness arises from the undifferentiated consciousness of pre-spacetime – in spiritual terms, the unconsciousness of God. The holographic frequency domain is a plenum which projects the information from the deepest level of the structure of space into the material domain. Thus, the image of the whole is a ubiquitous presence in greater or lesser resolution. The infinite is an aggregate of finites -- discontinuous events. We might regard an EM wave as a wiggle of nothingness, existing in time, which is like saying that a photon is an oscillation (wiggling) of spacetime itself. Photons are discrete energetic events, wave undulations of surface patterns in the complex infinity of dynamic interaction. The holographic field supports the photonic field at every point in space (with or without perceivable energetic events) with the energy of the entire cosmos. Technically, every point in space represents the convergence of all photons from all light sources. A flux of virtual photons connects our universe with the non-spatio-temporal negative universe. Buffeting by the vacuum fluctuation knocks out observable photons. Most rapidly decay back to zero-point, repeating the endless cycle. Matter arises from the plenum/void of the virtual vacuum potential, from particle-antiparticle annihilation, from the virtual photon fluctuation in the underlying plenum once poetically called the Dirac Sea or quantum foam. Patterns arise, interact, endure, and disintegrate. The void undergirds the ambient background fluctuation. Everything is made of Light. Only light 'matters'. Photons do not have mass; they do have momentum. Einstein’s equations predict that from light’s own point of view time has stopped, and distance has shrunk to zero. So, all light knows is ‘now’. It doesn't exist in time and space as we do. Light, somehow, lies beyond the world of space, time, and matter. It is not part of the material world. The discrete 'particle' properties of Matter and Light (quanta) are in fact caused by standing wave interactions. Radiant energy is the energy gradient of electromagnetic waves at different frequencies. The photon field is a flow of light. Whether we look outside into our environment or inside into ourselves we find primordial Light. Light is the first and only thing to emerge from the Unknown. Light is the archetype of the revelation of ultimate reality. The primordial level of self-interaction is unstable virtual particles. The vacuum potential is raw untranslated spacetime, which correlates informationally with raw or primordial (non)consciousness. Aether, hyperspace, and spacetime are all different states of the same entity at different scales. Aether has no reference points, no meaningful motion, no time, no wave fronts -- just absolute space. At the hyperspace level of observation, we find EM waves, strings, branes, quanta, etc. Finally, classical spacetime emerges, the objective Universe as we naturally perceive it. The infinitesimal center is coextensive with the universal continuum. 1. Aether -- (Sub-quantum level) Dimensionless, eternal. David Bohm's implicate order, Basil Hiley's pre-space. The scale at which non-local, instantaneous state change occurs. Nature's four fundamental forces emerge from here. Photons are electromagnetic fields, or rather waves in the electromagnetic fields. Photons are the basic unit of energy and cosmos. A photon is a single particle of light. Virtual photons are static. Photons shift from virtual scalar (nonordered) to normal vector (ordered) photon energy through photon/antiphoton pairs. Quantum electrodynamics suggests that the vacuum is a multi-dimensional realm stressed with an extremely high potential known as the zero-point energy. Scalars are dynamic quantities, which have magnitude but not direction, like vector waves. They also exist in the space between our own atoms. The void is not devoid, but seethes with impermanent virtual particles and fields. The flow of mass, and our own mass, through time is generated by the ubiquitous interaction of photons with the mass. This is so for both virtual and observable photons. The active vacuum is active spacetime. Mass moves through time by integrating virtual photons, and absorption-emission of observable photons and biophotons. The internal dynamic flow of time has infolded sublevels and engines that pump up the quantum field effects to breech the mystic threshold of observability. Tesla referred to this form of negative energy as radiant energy. The fabric of space is a turbulent plasma-like realm comprised of virtual particles continuously appearing from and disappearing into a physical hyperspace. This virtual particle flux has an enormous energy density, the "zero point energy". Zero-point motion imparted by the virtual particle flux is not thermal in nature and is present even at the "zero-point" of zero degrees Kelvin, where all atomic motion is supposed to stop. At the interface where nothing becomes something, nonluminous virtual photons teem in the zero-point field (zpf). Mass attracts photon flux from the vacuum. The radiant ground is the fundamental source beyond the boundary layer of quantum foam. Photons are the self-luminous manifestation of Absolute Space. Nothing arises but standing waves from the seething zero-point field of creative potential. It is the source and sustenance of existence -- the light of life itself. We are bioholograms projected by coherent light and sound. We arise from and are sustained by field phenomena. Waves of biophotonic light and sound form our essential nature through acoustic holography. This coherent light transduces itself into radio waves. This holographic biophoton field carries sound as information that decodes the 4-D form as a material object. The mindbody is electronic, but it is rooted in the luminosity of its invisible ground. We now know that our universe is awash in a background sea of diverse light waves, countless fields of them, all occupying the quantum vacuum of local and outer space. It’s a titanic ocean full of electromagnetic riptides, which wield influence everywhere -- the renewable energy of always. The zpf is continually absorbed and regenerated by charged particles. Dimensional fluctuations occur in the field of frequencies. Scalar waves are oscillations of the stress energy tensor of the vacuum. More intense “undulations” are holographic patterns from which spacetime emerges. Quantum fluctuations are the emergence of equal but opposites particles from the vacuum. “Let there be Light.” Potentials in the vacuum are primordial causal agents creating force fields from their interference during virtual photon flux. Charge emits measurable photon energy. ZPE charge becomes observable emission. Real EM photons (quanta of light) are emitted from that charge and spread into 3-space at light speed. But there is a jump effect which happens during the orthorotation of light, or acceleration to the speed of light. Mass turns into photons during the final part of orthorotation which is in the virtual state. This is the missing link between relativity and quantum mechanics. Particle-wave systems must be in constant motion, continuously processing space in order to continue their existence. If motion ceased, they would simply disintegrate. Virtual particles pop-up from hyperspace into spacetime as the result of random field interactions, such as resonance. We are observing energy exchanges in nature. Nothing else is taking place. A wave requires time and space. Amplitude happens in 3D space, and then it moves so that those dimensions change. Time is motion in space. Particles stay in spacetime because they have stable standing waves. Is a spherical standing wave an emitter and reflector? A transmitter and responder is a transponder. In the case of two emitters, the emitter basically creates its own responder. If spherical standing waves are virtual transponders the vacuum potential produces an information circuit. Radiant fields are, in effect, spherical standing waves that follow a double helix spiral vortex Mobius Klein path. Plausibly, the incoming wave is the compressive gravity aspect, and the outgoing wave is the expanding electromagnetic aspect. Is a spherical standing wave (radiant field) the signature of a virtual transponder simultaneously receiving, translating and then re-broadcasting information? Philosophy and physics explore the nature of reality itself, and the relationship between the mind and reality. Both the Qabalah and Buckminster Fuller's Synergetics elaborate on emanation from negative existence, describing the pre-spacetime / pregeometric and geometric templates of what Fuller called "nature's own method of self-assembly." Creative flow of light describes both illumination and emanation. We are also a flow of light. "SAID Rabbi Simeon: It is a tradition from the most ancient times that when the Holy One created the world he engraved and impressed on it in letters of brilliant light, the law by which it is sustained and governed. Above, below and on every side of it, it is engraved on every atom that man, by research and discovery, might become wise and conform himself to it as the rule of his life. The world below is, in shape and form, the reflection and copy of the world on high, so that there may be no discontinuity between them, but reciprocally act and react upon each other. This being so, we purpose to show that the same principle or law that operated in the creation of the physical world, operated also in the origin of man, and that both alike are manifestations of one and the same law." (Hos. vi. 7)." The first Sefirah is Kether, the Crown, the beginning, the primal void. A dark light leapt from this most secret depth, like a colorless mist that gives form to formlessness, and as the mist spread, a burst of flames took shape in its center, and the flames streamed down to illuminate the lower Sefirot, and down, down to the Kingdom. The qabalistic Genesis begins with the emanation of Ain Soph, "supreme wisdom," the Godhead as pure light-filled creative intelligence, source of all manifestation. The Limitless Light flows out into the 10 Spheres of the Tree of Life down through the Four Worlds of Creation: Archetypal (divine), Causal (mental), Astral (emotional), and Physical. Emanation means that God sent forth a portion of his own essence into the manifestation, rather than creating a separate reality. This cosmic pattern or design reflects the divine order, the pervasive design of the world, echoing the alchemical maxim, "As Above, So Below." Ain = "Light" or "Nothing"
Ain Soph Aur = "Limitless Light in Extension" or "No Nothing Ever/Always"
Ain is the highest and first of the veils. It is literally translated as 'nothing', or simply 'no'; absolute emptiness, the opposite of existence, complete absence. Ain Soph proceeds from Ain by necessity. It is literally translated as 'no limit'. Where there is nothing there are no boundaries or limitations; this is the limitless foundation -- the eternal in its purest sense. Ain Soph Aur is the lower veil, situated closest to the Tree of Life, and it proceeds from Ain Soph as a necessity. It means 'limitless or eternal light'. Without any limitations, things happen because there is no reason they shouldn't. Light plays a very important role in the philosophy and symbolism of Qabalah. Ain Soph Aur is that human experience of light. They symbolize three aspects of an "Unknowable Concept of Being and Non-Being." Negative Existence may be outside the range of our realization, it does not mean that we are beyond the range of its influence. Those who have penetrated furthest into the Unseen have given us symbolic descriptions by means of which we may turn our minds in the direction of the Absolute, even if we cannot reach it. They have spoken of Negative Existence as Light: "Ain Soph Aur, the Limitless Light." The experience of the "NOT" finds Its counterpart in every mystical tradition. In Taoism it is called Mysterious Unknown. The Sufis refer to the experience as fana 'l fana (fana means "extinction"). The Hindus call it nirvikalpa samadhi. The Buddhists call it nirvana, sunyata (emptiness), satori, and anuttara samyak sambodhi (full enlightenment). The Qur'an refers to the Mysterious Unknown by the same terms used in the Torah. All mystical traditions describe the "Mysterious Unknown at the Roots of All Things" as both inactive (impersonal) and active (personal aspects). The Zohar names them the "Vast Face" and "Small Face" of Qabalah.The inactive aspect is represented by the letter Ayin. It is also known as Al (lit. upon), Shomer (Witness, Guardian), Atiqa (Hidden One), Supernal Israel, the Ancient of Days, and other Names found in the Sefer HaShmoth and the Torah. The absolute is movement and stillness without beginning, yin and yang without beginning. Buddhists call this complete awareness, Taoists call it the gold pill, Confucians call it the absolute. What is called the infinite absolute means the limit of the unlimited. Buddha called it "as is, immutable, ever clearly aware". In the Sefer Yetzirah, the Ayin is called the "Organ of Nakedness." In Arabic, the word for the NOT is "La": this is written virtually identical to the Ezra letter Ayin. The shape of the Phoenician or Sinatic letter Ayin is also suggestive -- it is a circle. Design science teaches that pattern may be more important than intensity in virtual to matter self-organization. The morphological or geometrical aspect of nature plays a dynamic role in the identity and behavior of all objects and processes. In Synergetics, a geometrical system of holistic thinking, Buckminster Fuller described Cosmic Zero at the geometrical heart of the Vector Equilibrium Matrix. The maximum number of dimensions allowed to a symmetrically-divided sphere is twelve. The 12-dimensional model appears to offer a psychophysical solution to consciousness, quantum gravity, the origins of life, and the birth of the universe. V.E. is the breeder of wave-particle duality, the uncertainty principle, and non-locality at the quantum level. Vector equilibria in isotropic vector matrix produce the discontinuity of particles, while the vector-weaving around the VE nucleus produce the continuity of wave phenomena. It describes the nuclei of atomic structure. Vector Equilibrium is a zone of neutral resonance where waves can pass through waves without interference, yet, it never physically exists as a structure. It is the ultimate dynamic equilibrium zero state. The five Platonic solid arise from it as this foundation of all cosmic structural geometry. According to Fuller, "zero pulsation in the vector equilibrium is the nearest thing we will ever know to eternity and the omniscient mind of Universe." This is the geometry of the Unified Field — the "zero-phase of conceptual integrity inherent in the positive and negative asymmetries that propagate the differentials of consciousness." When it comes to modeling a most fundamental aspect of physics wherein the zero-point field of energy has infinite density yet cannot be seen or measured, the vector equilibrium simply and absolutely fulfills this ground-zero starting place from which everything else springs forth. Cosmic zero exists, paradoxically, in the realm of the psyche and in quantum reality in the atomic nucleus expressed as force. It is the form of formlessness, the root metaphor. It also forms the roots of the cosmic Tree of Life, since there is a fine-to-non-existent line between organic and inorganic matter on the quantum scale. Physics is the patterns of organic energy, all of which are dynamic, alive. Mass is energy, so the subatomic world is always restlessly in motion. Inert matter is full of motion when we look closely at it . The activity of matter is its essence. The properties of mass, inertia, charge and gravity -- and those who observe them -- are the result of space resonances produced by zero-point scalar waves. At zero-point, waves pass through waves without interference. We come from, are sustained by, and are returning to the radiant light of our mass. All electromagnetic force is mediated by virtual photons. Some scientists think the ground of our consciousness is synonymous with the ground of physical existence. Pre-spacetime is the absolute frame of reference and the ground of existence. Thus, luminous ground is inherent radiance. Primordial consciousness has the same nature as the ground state of absolute space, from which emerge all mental and physical phenomena. The nature of primordial consciousness is empty and luminous. Entering the groundstate of consciousness can be done. Is undifferentiated consciousness the same dynamic as matter and energy? Is there a physics of consciousness? Is this more than correlation or poetic metaphor for unextended matter? The field of pure consciousness can be understood as the subjective essence of the unified field, which acts as the ultimate origin of creation. It not only acts as the origin of all individual thoughts, but also all of the forms and phenomena in nature. The traditions of light influenced the modern schools of depth psychology. Jung was clear that we cannot know anything about the theological or metaphysical "God," but only about the god-image, in the psychologically empirical sense. The collective unconscious is a sort of cosmic template, matrix or collective source from which psychic experience emanates and to which it returns. Perhaps, like complex numbers which are composed of real and imaginary components, our reality may have complementary psychophysical aspects. The real and imaginary are part of the quantum and classical world. But we must beware of confounding metaphor with ontology. Jung conceded all such notions are psyche's projections and the identification of psychic and metaphysical reality. But this is no assurance that reality is a product of the mind, nor that psyche thinks the world into existence. Jung does not bifurcate nature and psyche, nor the ontological conjunction of psyche and reality. Thus we hopefully avoid the symbolic factor from devolving into mystical abstraction -- the marvel of the universal. Whether Jung believed the transubjective collective psyche is 'real' or not, we can suggest it is analogous. But unpacking Jung's metaphysics is beyond our scope here. Sufficient reason dictates there is a ground or origin for every mental event. Though arguably mind is trancendental, transpersonal or supraconscious mind remains conjecture. Mysticism remains more natural psychology than supernatural ontology -- phenomenology, not ontology. There is no suggestion of a governing supernatural entity. "If the light were suddenly to go out and you could no longer see me, you would not be likely to think that I had ceased to exist, yet it would be no more foolish than to assume that the contents of the psychic background only exist when we can see them." ~Carl Jung, ETH Lecture IX,15 Dec1933, Page 41. Because the 'pleroma' cannot be represented it belongs to the psychoid realm, where mind (psyche) and matter (soma) meet. While his term lacks definitional precision, we can infer that the greatest density of activity of the psychic unconscious is the elements incapable of conscious awareness. Jung's notion of the collective psyche -- a cosmic animating principle and ground of all existence -- can be compared with Plato's chora, the womb of all being and universal theory of mind. In science, 'theory' means the way we interpret facts which don't themselves change. When Jung claims that "nothing exists which was not psychic once," he seems to conflate the psychoid notions of collective unconscious, pleroma, and the vacuum state. He also adds that "our experience above all is psychic...In fact we can only experience through the psyche." Jung considered the 'psychoid' function as mediator of 'the space-time continuum', adding the panpsychic notion of synchronicity to the lexicon of his day. He describes the 'constellation' of fields of interaction. That is how we should understand the pleroma, the fullness, which is the origin of the existence of the world, where everything is contained but in potentia, as a possibility, anything can come out of it. ~Carl Jung, ETH Lectures, Page 254. This is how madness begins, this is madness ... You cannot get conscious of these unconscious facts without giving yourself to them. If you can overcome your fear of the unconscious and can let yourself go down, then these facts take on a life of their own. ~Jung, Liber Novus, Page 253. Footnote 211. ‘‘A halo of light surrounds the world of the law. We forget one another, quiet and pure, altogether powerful and empty. The emptiness is irradiated by the light of the heart of heaven. The water of the sea is smooth and mirrors the moon in its surface. The clouds disappear in blue space; the mountains shine clear. Consciousness reverts to contemplation; the moon- disk rests alone.’’ ~Hui Ming Ching, The Secret of the Golden Flower, Page 121. 7. And It gazed into Barbelo in the pure light which surrounds the invisible Spirit and Its luminescence, and she conceived from It. It begot a spark of light in a light resembling blessedness, but it was [not] equal to Its greatness. This one was only-begotten of the Mother Father who had appeared. He is his only offspring, the only-begotten of the Father, the pure light. Then the invisible virginal Spirit rejoiced over the light [which] had come into being, that one who first appeared from the first power of Its Pronoia, which is Barbelo. And It [an]ointed him from Its own goodness/Christhood until he became perfect, not lacking anything of [good]ness/[Christ]hood because It had anointed him in the [goo]d[ndss/[Chri]st[ho]od of the invisible Spirit. And he stood in Its presence while It poured upon him. A[nd] im[medi]ately when he had received from the Sp[irit, he] gl[or]ified the holy Spirit and the perfect Pro[n]oia, for he had been revealed because of her. And he asked to be given a fellow worker, which is Mind. And It stared. And in the invisible Spirit's act of staring, Mind was revealed. And he stood with Christ, glorifying him and Barbelo, for all these came into being in silence. Jung termed the nondual "Pleroma," where nothingness is the same as fullness"...an Absolute in which there is no division between subject and object. Jung intuited this nondual Pleroma to be a collective transpersonal reservoir, an ocean of collective unconscious. From this omnipotent universal Pleroma our individual psyches coalesce around "attractor archetypes." In this sense Jung echoed the eastern axiom: "Emptiness is Form, Form is Emptiness." Considering the primordial nature of the psyche, Jung reflected on the 'seeds of light broadcast in the chaos' (Khunrath) , of the 'scintillae' (Dorn), soul sparks (Eckhart), of fish-eyes at the bottom of the sea, or images of luminous serpent eyes. He spoke of the virtual light of such luminous nodal points emerging from the abyssal depths, eventually including dynamical processes and all types of universally recurring patterns of behavior in the psyche. Jung described his intuitive apprehension of the Pleroma exhaustively in Seven Sermons to the Dead. Jung's Plenum is a field of universal potential, unbound luminosity and infinite awareness. Space isn't an empty vacuum but characterized as universal potential and creative flow. Hear Ye: I begin with nothing. Nothing is the same as fullness. In the endless state fullness is the same as emptiness. The Nothing is both empty and full. One may just as well state some other thing about the Nothing, namely that it is white or that it is black or that it exists or that it exists not. That which is endless and eternal has no qualities, because it has all qualities. The Nothing, or fullness, is called by us the PLEROMA. In it thinking and being cease, because the eternal is without qualities. In it there is no one, for if anyone were, he would be differentiated from the Pleroma and would possess qualities which would distinguish him from the Pleroma. In the Pleroma there is nothing and everything: it is not profitable to think about the Pleroma, for to do that would mean one’s dissolution. The CREATED WORLD is not in the Pleroma, but in itself. The Pleroma is the beginning and end of the created world. The Pleroma penetrates the created world as the sunlight penetrates the air everywhere. Although the Pleroma penetrates it completely, the created world has no part of it, just as an utterly transparent body does not become either dark or light in color as the result of the passage of light through it. We ourselves, however, are the Pleroma, so it is that the Pleroma is present within us. Even in the smallest point the Pleroma is present without any bounds, eternally and completely, for small and great are the qualities which are alien to the Pleroma. The Pleroma is the nothingness which is everywhere complete and without end. It is because of this that I speak of the created world as a portion of the Pleroma, but only in an allegorical sense; for the Pleroma is not divided into portions, for it is nothingness. We, also, are the total Pleroma; for figuratively the Pleroma is an exceedingly small, hypothetical, even non-existent point within us, and also it is the limitless firmament of the cosmos about us. Why, however, do we discourse about the Pleroma, if it is the all, and also nothing? The pairs of opposites are the qualities of the Pleroma: they are also in reality non-existent because they cancel each other out. ... Since we ourselves are the Pleroma, we also have these qualities present within us; inasmuch as the foundation of our being is differentiation, we possess these qualities in the name and under the sign of differentiation. The psychic facts have neither length, breadth, nor weight, but are essentially spaceless, and it is exceedingly difficult to determine their duration. ~Carl Jung, ETH Lecture IX,15Dec1933, Page 40. Human consciousness instinctively seeks 'cosmic zero.' Arguably, the most sophisticated model for the psychological nature of mind and the "Nature Mind" comes from centuries of experimentation and direct observation by Tibetan Buddhists. They emphasize experience of the Clear Light and primordial awareness, and aim at glimpsing, recognizing, and stabilizing such states with their practices. If the vacuum (scalar) potential of Absolute Space equates with "pure unconditioned consciousness" or 'complete awareness' can we experience or apprehend such directly as has been implied by spiritual masters? In what sense does 'primordial awareness' correlate with scalar potential, the uncreated state of vacuum fluctuation? In what sense is this pre-conscious, or non-conscious an agent of mind-matter creation? Is it knowable through intuition, gnosis, spontaneous apprehension, or spiritual discipline? We can compare and contrast the mystical and scientific observations. Pure consciousness is knowledge born from pure intuition. This can be called pure knowledge. It pertains to the non-phenomenal forms of uncreated existence. Absolute space is the noumenal source of phenomenal consciousness, a fundamental quality, and Mind is a higher order hyperspace field outside brain's EM field. Fundamental proto-consciousness finds more particular expression when matter comes together in a certain way. Physics still struggles to describe this process, but is currently looking toward spin and entanglement as observable clues. We are beginning to understand what nature has been hiding. The zero-point field is a blinding light. Since it is everywhere, inside and outside of us, permeating every atom in our bodies, we are effectively blind to it. It blinds us by its presence. The world of light that we do see is all the rest of the light that is over and above the zero-point field. We cannot eliminate the zero-point field from our eyes. So, the vacuum is filled with a distinctive pattern of electromagnetic fields. Even with its pattern of electric and magnetic fields in continual fluctuation, the vacuum remains the simplest state of nature. Life takes refuge in a single space - absolute space -- the luminous core of meaning itself. This “ground of becoming” may be characterized as a relative vacuum state of consciousness,voided of all manner of mental activity. This mental phenomenon can be accessed through meditative quiescence, the cultivation of nondual contemplative insight. Such relative and ultimate vacuum states of consciousness seem remarkably similar to relative and absolute vacuum states of space presented in contemporary physics. Photon interaction is the absorption and emission of photons by particles or objects. The macroscopic world is created by this interaction, which is the basic quantum change interaction. Scalar waves are emitted and absorbed by the nuclei of atoms, passing right through the electron shells without interaction. If photon interaction is invoked, classical reality emerges. Photon interaction creates classical objectivity. Since light carries time, photon emission from an entity strips away the time dimension converting it to a spatial object. Ervin Laslo says, "Information is entirely basic in the universe. In the latest conception the universe doesn't consist of matter and space; it consists of energy and information. Energy exists in the form of wave-patterns and wave-propagations in the quantum vacuum that fills space; in its various forms, energy is the "hardware" of the universe. The "software" is information. The universe is not an assemblage of bits of inert matter moving passively in empty space: it's a dynamic and coherent whole. The energy that constitutes its hardware is always and everywhere "in-formed." It's in-formed by what David Bohm called the implicate order and physicists now regard as the quantum vacuum or zero-point field (also called physical spacetime, universal field, or nuether). This is the "in-formation" that structures the physical world, the information we grasp as the laws of nature." The history of energetics is largely intuitive, it starts primitively as intuitions of archetypes, first they were beings, now they are mathematical formulas. ~Carl Jung, Lecture III, 4May1934, Page 100. The psyche appears to everyone as that which is reality to him and it takes an exceedingly long self-education to see that one's own experience is not the general experience. ~Carl Jung, Lecture I, 20April1934, Page 93. Consciousness arises only in time intervals of up to 400 milliseconds, with gaps of unconsciousness in between, according to a scientific research team at the Ecole Polytechnique Fédérale de Lausanne. According to their findings, consciousness forms as a series of short bursts of up to 400 milliseconds, with gaps of background, unconscious information processing in between -- where the innermost essence of mankind is born. We can imagine each nanosecond we check out as checking in to the utterly non-conscious, primordial awareness we share directly with our progenitors. This flicker is like the screen refresh rate, reducing all we experience to a series of frames per nanosecond. Michael Herzog at EPFL and Frank Scharnowski at the University of Zurich now put forward a new model of how the brain processes unconscious information, suggesting that consciousness arises only in intervals up to 400 milliseconds, with no consciousness in between. In 1917 Jung wrote of 'dominants of the collective unconscious' which he characterized as 'nodal points' of psychic energy. 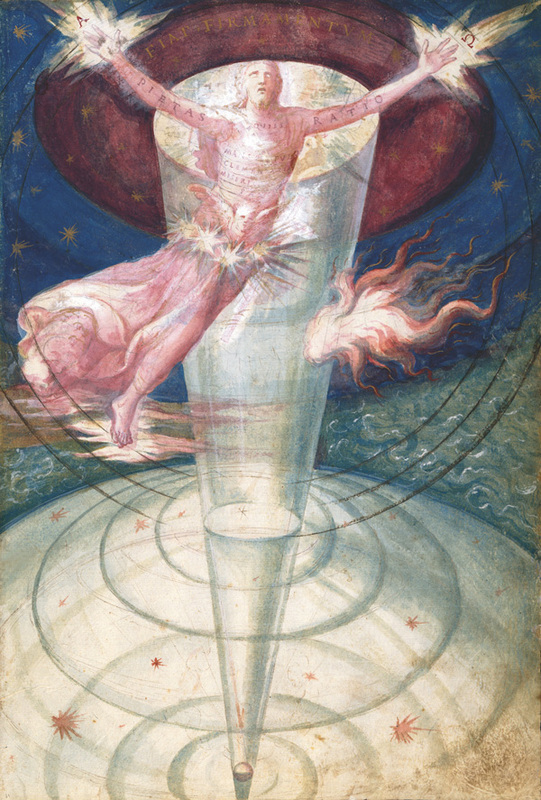 Jung compared psyche's luminous experiences with the light impressions described by the alchemists. Considering the primordial nature of the psyche, he reflected on the 'seeds of light broadcast in the chaos' (Khunrath) , of the 'scintillae' (Dorn), of fish-eyes at the bottom of the sea, or images of luminous serpent eyes. He spoke of the virtual light of such luminous nodal points emerging from the abyssal depths of psyche, eventually including dynamical processes and all types of universally recurring patterns of behavior in the psyche. Tibetan Buddhists describe naturally arising chains of points of light. Jung sourced alchemical ideas to fund his psychological theory. The most prominent alchemical symbol is the scintillae, or germinal divine sparks of the spirit. He thought what the alchemists saw in matter was a projection, but it may be direct insight, perception of metaphysical reality. These seeds of light broadcast in the chaos are not illusory. Paracelsus, Khunrath and Dorn related them to the lumen naturae which illuminates consciousness like a diamond-strewn night sky. They are more than symbolic. Jung linked them to the Sun, luminosity and numinosity. We labor in the dark of the unconscious until we see these glittering "fishes eyes" that herald the solar light. These multiple eyes reflect our many facets back to ourselves. Comparable with archetypes, these multiple intensities herald psyche's reunification with the unconscious, sparkling in the margins of astral vision. The union of the scintillae forms gold. Sparks shining in the dark solution are the first glimmers of immortality. In essence, consciousness is located everywhere in the universe at the center of origin of every radiant energy field and fundamental particle. The universe and every field and form in it originates from and rests on its infinite zero-points of timeless and dimensionless (thus "empty" and "eternal") absolute or "ground space." Each zero-point (acting contiguously with all other zero points, as one thing, like a BEC) contains the total potential mass energy of the entire cosmos. All the energy and structural information of the entire cosmos is contained in every zero point and every standing wave particle center field. Meditation practices that were previously taught within the context of religious traditions are now increasingly being practiced in non-traditional and secular contexts. It is important to recognize that the trajectories of practice outlined in the traditional literature of contemplative traditions include a wide range of experiences that fall outside the commonly reported positive health effects, including unusual affective, perceptual, and somatic changes (Kornfield, 1979). Especially as practitioners move into more advanced stages of practice, a number of experiences may arise that can be bewildering to those who are not expecting them and who are not prepared to manage them. Similar phenomena are well documented in traditional Buddhist texts but are virtually undocumented in scientific literature on meditation. Within Buddhist traditions, these phenomena are attributed a range of interpretations. However, because it is insufficient and problematic to rely solely upon the textual sources. The typologies derived from these studies also rely upon reports of experiences and closely match typologies derived from the qualitative study of contemporary practitioners and typologies found in Buddhist literary traditions. Taken together, these studies also provide evidence in support of the hypothesis that certain meditative practices – especially those that deliberately decrease social, kinesthetic, and sensory stimulation and emphasize focused attention – have perceptual and cognitive outcomes similar to sensory deprivation. Given that sensory deprivation increases neuroplasticity, meditation may also have an enhanced neuroplastic potential beyond ordinary experience-dependent changes. By providing and contextualizing these reports of meditation-induced light experiences, scientists, clinicians, and meditators gain a more informed view of the range of experiences that can be elicited by contemplative practices. While Buddhaghosa suggests that the different lightforms of the nimitta are idiosyncratic, Buddhist sources from other traditions present similar phenomena to the “cluster of gems,” “puff of smoke,” and “film of cloud” as arising in a progressive sequence. Extensive presentations of light-related signs of attainment can be found in the Buddhist tantras – a vast body of literature associated with ritual and contemplative practices that developed and flourished in India between the seventh and the eleventh century (Samuel, 2008). According to a traditional commentary on the tantras, a typical trajectory for the lightforms is as follows: The first is described as being “like seeing a mirage,” the second as a “smoke-like vision,” the third a “vision like flickering fireflies,” the fourth is like “the glow of a butterlamp,” and the fifth is “like a clear autumn sky pervaded by the light of the full moon” (Dondrup, 1997, p. 85). Various tantras present the progressive sequence of mental images in different orders; Gyatso (2004) explains that this is due to the different techniques that can be used to induce the involuntary mental images. While the reference in the tantras to lights “like flickering fireflies” closely resembles the reports of “Christmas lights” and “small radiant bursts” discussed in the first class of light-related phenomena, the depictions of a mirage-like light and an illuminated autumn sky more closely correspond to phenomena we include in the second class of meditation-induced light experiences. Four practitioners reported discrete lightforms appearing as either “globes,” “jewels,” or “spots.” These lights appeared in various colors and were also described as being “very vivid” or “very distinct.” Discrete lightforms could be either singular or multiple in number and were generally small, being described as “little stars” or “small radiant bursts.” Some of these bright, luminous shapes were characterized by some practitioners as being stable, or as “hanging out in space,” whereas for others they were more animated. For example, one practitioner described spots of lights as floating “together in a wave, sort of like a group of birds migrating.” Small lights – singular or multiple – that appear as generally round points of colored light are the first group of phenomena that can be linked with accounts derived from traditional Buddhist literature. It appears to some as a star or cluster of gems or a cluster of pearls, […] to others like a long braid string or a wreath of flowers or a puff of smoke, to others like a stretched-out cobweb or a film of cloud or a lotus flower or a chariot wheel or the moon’s disk or the sun’s disk. Many of these initial descriptions of the nimitta are consonant with the reports of small points of light described as “globes,” “jewels,” or “stars” discussed above. One practitioner from our study also described a white light that appeared to be the size of moon as seen in the night sky. The second class of light-related phenomena includes patterned and diffuse changes to the visual field, most commonly described as shimmering, pixelation, or brightening. This class of phenomena can be distinguished from the first class on account of not having a distinct and circumscribed shape, size, color, or spatial location. Instead, they are characterized as being superimposed on the practitioner’s perception of space, and often arise in conjunction with the perception of external objects. Like the tantric visions of seeing a mirage, one practitioner described space as “shimmering,” and alternately as seeing “ropes” that would emerge from objects in space and cause the space behind it “to shimmer a little bit and move.” Contemporary authors in a Tibetan Buddhist lineage explain that “when you meditate, many different lights can appear [including…] all kinds of shimmering experiences,” and these are taken to be “good signs” (Sherab and Dongyal, 2012, p. 94). Another example of an alteration of the visual field comes from a practitioner who described the visual field as “pixelating a little bit and becoming very very vivid.” A similar cluster of phenomena that co-arise with the perception of external objects include reports of “seeing energy instead of seeing solid objects” and “seeing rays of light that go through everything.” In a description strikingly parallel to “pixelating,” Tibetan author Dudjom Lingpa includes “the perception of all phenomena as brilliantly colored particles” among the list of meditation experiences (nyams) that can arise from proficiency in concentration practice (Wallace, 2011, p. 136). Full et al. (2013) documented advanced meditators in a Burmese Theravda tradition, some of whom also reported perceiving both external objects and their own body as small particles as a result of directing a concentrated mind toward the investigation of the body. In addition to the shimmering and pixelation described above, six practitioners reported a homogenous brightening of the visual field. Two of these practitioners reported that the visual field was brighter when the eyes were open, including a report of a “golden light that fills the sky,” which is quite similar to the imagery used in the Buddhist tantras to characterize the fifth sign of attainment. Four other practitioners characterized the homogenous field of light as a mental image arising behind closed eyes. For example, one practitioner described an “internal curtain of light” that would be most apparent when meditating in a dark room or with eyes closed. On account of this curtain of light, this practitioner reported being able to perceive memories and dream-like reveries as clearly as external objects. This increasing brightness of the visual field may again be related to the fifth, unstructured “sky-like” sign of attainment presented in the tantras, or, it may be closer to a phenomena described in the canonical sources of early Buddhism as the “pure bright mind.” This “pure bright mind” is associated with the fourth state of meditative absorption (jhna) attained through the cultivation of concentration. In one passage, this quality of awareness pervades the body in a manner compared to a man “sitting covered from the head down with a white cloth, so that there would be no part of his whole body unpervaded by the white cloth; so too, a [monk] sits pervading this body with a pure bright mind” (Nanamoli and Bodhi, 1995, p. 369). Two practitioners also reported a proprioceptive dimension to their meditation-induced light experience. One practitioner explained that “my body just was breaking apart into sparkles and like electrical sparks being sent off everywhere in all directions”; the other “felt like I was radiating, like there were rays of light coming out of me.” In contemporary Theravda accounts (Sayadaw, 2010, p. 122), concentration directed toward the body is similarly associated with seeing “a smoky gray light [that will] become whiter like cotton wool, and then bright white, like clouds,” and furthermore with seeing the body “sparkle and emit light.” Experiences of light emanating from the meditator’s body are also associated with a calm mind and with a particular stage of insight called the “knowledge of arising and passing away” (Nanarama, 1983, p. 36). Textual interpretations of meditation-induced light experiencesAs suggested above, reports of meditation-induced light phenomena can be found across Buddhist traditions, in both historical, textual accounts and among accounts from contemporary practitioners. A survey of both historical and contemporary accounts reveals that there is no single, consistent interpretation of meditation-induced light experiences in Buddhist traditions. Some types of light may signal that a particular discipline such as concentration has reached a certain stage of development, whereas other lights may be the result of imbalanced practice. Some interpret lights as a vehicle for investigating the constructed nature of phenomenal appearances; other light experiences are deemed unimportant side effects of meditation. In the context of Theravda and Tantric Buddhism, meditation-induced light experiences are often deliberately sought as part of the method of transforming consciousness or are interpreted as a sign that such transformations have occurred. According to typical Theravda instructions on concentration practice, such as those found Buddhaghosa’s The Path of Purification, once a nimitta arises, it is take as a sign that an initial stage of meditative absorption has been reached. At that point, this involuntary light experience can then replace the breath or an external object as the new object of concentration (Ledi Sayadaw, 1999). Similarly, in Tibetan traditions, the progressive sequence of signs that are thought to manifest on account of tantric practices, including both discrete lightforms and diffuse lights such as shimmering, are interpreted as positive signs that the clarity and luminosity of the mind is becoming apparent to the practitioner (Gyatso, 2004; Sherab and Dongyal, 2012). However, similar typologies of light-related experiences are elsewhere treated as involuntary side effects of meditation. Some Theravda Buddhist authors from contemporary Burmese lineages (Nanarama, 1983, p. 36; Sayadaw, 1994, p. 13–14) identify the arising of a “brilliant light,” a “flash of lightning,” a “lamplight in the distance,” or a “light [that] emanates from [the meditator’s] own body” as “illumination” experiences – one of 10 “imperfections of insight” that can arise during a stage of practice called the “knowledge of arising and passing away.” These light-related meditation experiences, while still taken as signs of a calm mind capable of carefully investigating present moment experience, are nevertheless treated as “corruptions” or “imperfections” because they are so enticing that they can lead the meditator astray from the practice instructions. Similarly, the phenomena classified in Tibetan Buddhism as “meditation experiences” (nyams) also include light-related experiences among the range of phenomena that can arise in meditation. Like the lights that arise in the context of the imperfections of insight, light-related nyams such as pixelation are to be left alone, and the practitioner is to proceed without becoming attached to them (Wallace, 2011). In Zen Buddhist traditions, the term makyo is used to refer to a similar category of “side-effects” or “disturbing conditions” that can arise during the course of practice (Austin, 1999, p. 373). Consonant with Southeast Asian Theravda and Tibetan Tantric Buddhist sources, Sogen (2001, p. 84) associates the arising of makyo with “proof of considerable maturity in Zen concentration.” However, “even if a glorious light shines, […] they all belong to makyo regardless of whether they are good or bad,” and the practitioner should respond by “paying no attention to them” (p. 87). According to other traditional interpretations, especially prominent in the Dzogchen tradition of Tibetan Buddhism, one of the objectives of advanced meditation practices is to stabilize the lightforms that arise and investigate them (Chagme and Gyatrul, 2000, p. 159; Namdak, 2006, p. 197). Temple wall paintings featuring both descriptions and representations of these lightforms describe a trajectory beginning with “countless minor circles like pearls on a string” that develop into visions of “luminous spheres, grids, and disk of light” (Baker, 2000, p. 119). Such meditation-induced light experiences are not important in and of themselves; rather, they are valuable only insofar as they assist the practitioner in recognizing the way in which the mind constructs visual appearances and reifies them as external objects (Wangyal, 2002, pp. 131–133; Namdak, 2006, p. 198). In this trajectory of practice, certain Buddhist meditation traditions utilize visual hallucinations as a means of gaining insight into the way in which perceptual experience of the phenomenal world is constructed, rather than given. Some contemporary theories in cognitive science have characterized phenomenal consciousness as a process that simulates the relationship between the body and its environment (e.g., Metzinger, 2003; Revonsuo, 2006) in a manner compatible with certain Buddhist approaches to insight (Waldron, 2006). Investigating meditation-induced light experiences suggests that on account of restricting attention by deselecting sensory stimuli, certain meditation practices may function in a manner analogous to sensory deprivation and perceptual isolation. The arising of lights may signal a period of enhanced neuroplasticity and potential for important and enduring shifts. Front Psychol. 2013; 4: 973. Published online 2014 Jan 3. Spin-Mediated Consciousness Theory: An Approach Based On Pan-Protopsychism Hu, Huping and Wu, Maoxin (2002) Spin-Mediated Consciousness Theory: An Approach Based On Pan-Protopsychism. Professor Paul S. Wesson, F.R.A.S. “It looks like important physical objects, such as curved space-times … emerge naturally from entanglement in tensor network states via holography,” writes physicist Román Orús of Johannes Gutenberg University in Germany. In particular, a formulation of tensor networks called MERA (for multi-scale entanglement renormalization ansatz) seems especially promising with respect to understanding gravity. MERA tensor networks describe patterns of entanglement in certain complicated quantum systems, generating a geometry reminiscent of the extra-dimensional space that Maldacena discussed in his duality. In other words, it’s a real-life realization of the quantum field theory-gravity duality. Dr. Edgar Mitchell, Way of the Explorer, New York: G.P. Putnam's Sons, 1996. "A metaphorical chip holding all the programming for our universe stores information like a quantum computer." This is the radical insight to the foundation of our Universe developed by Mark Van Raamsdonk, a professor of theoretical physics at the University of British Columbia, that says that the world we see around us is a projection from a set of rules written in simpler, lower-dimensional physics—just as the 2D code in a computer’s memory chip creates an entire virtual 3D world. "What Mark has done is put his finger on a key ingredient of how space-time is emerging: entanglement," says Gary Horowitz, who studies quantum gravity at the University of California Santa Barbara. Horowitz says this idea has changed how people think about quantum gravity, though it hasn’t yet been universally accepted. "You don’t come across this idea by following other ideas. It requires a strange insight," Horowitz adds. "He is one of the stars of the younger generation." "We’re trying to construct a dictionary," says Van Raamsdonk, that allows physicists to translate descriptions of our complex universe into simpler terms. If they succeed, they will have found the biggest jigsaw piece in the puzzle of a Grand Unified Theory—something that can describe all of the forces of our universe, at all scales from the atomic to the galactic. That puzzle piece is, specifically, something that can describe gravity within the framework of quantum mechanics, which governs physics on small scales. Such a unified theory is needed to explain the extreme scenarios of a black hole or the first moments of the universe." The catacylst for Van Raamsdonk's theory was a 1998 paper by Juan Maldacena a theoretical astrophysicist at Princeton's Institite for Advanced studies that proposed that to understand quantum gravity through string theory, you can look instead to the much more ordinary, well-described system of quantum mechanics called quantum field theory that concluded that it seems that all the information about our complex multi-dimensional world can be described using a simpler, lower-dimensional language—just as a 3D image is projected from the 2D screen of a hologram, or a 3D computer gaming world created from a 2D memory chip. "After that, people wrote thousands of papers just testing whether that could be true," says Van Raamsdonk. "No one has actually proven it, but we’re as certain about it as about anything in physics," he added. How do we explore the depths of our reality and experience, seeing underneath that which appears on the surface? What we call reality and consciousness depends on our level of observation and mystical penetration. The most common error is conflating Consciousness and Awareness. Consciousness is a product of widespread communication, while awareness is a focal capacity. Neurologically, consciousness appears to be an emergent property of operational information propagated throughout the brain and psychological space. But we should carefully avoid materialistic errors of category and levels of observation. Such outmoded concepts of God are something of a soft target for skeptics partly, I believe, because they omit treating the problem of the origins and emergence of life while having practically nothing to say about a possibly nontrivial role of quantum mechanical processes (or computing) in its genesis. Such processes may be involved in evolving life from a prebiotic soup and in mutation. Strict neo-Darwinists may, of course, wish to postulate the existence of a principle analogous to natural selection as applying to the universe through backward extrapolation, so that states of matter which will eventually be fit for living organisms and consciousness somehow have an advantage. However, such a principle would be little more than a petitio principii, and if used to describe the improbable conditions in a universe that permit sentient life forms, it would simply be a restatement of the anthropic principle as described, for instance, by Penrose (2004). And naturally, as Penrose has also pointed out, in an infinite universe eventually even the most improbable contingencies will sooner or later occur without the need to invoke an external designer-God or super Programmer to explain them. The anthropic principle does not necessarily imply a universe evolving with humanity as a teleological goal. In its purely scientific formulation, this principle only states the conditions that are contingently necessary for the emergence of sentient life and consciousness. It does not address the possibility of a process (or incarnational) theology or archetypal psychology in which a numinous principle is implicit to the evolutionary process itself. This brings the discussion back to the evolution of matter and to the notion of physicist David Bohm (2002) and his colleague Basil Hiley, who wrote “that even the quantum level can be thought to have, via active information, a primitive mindlike quality though it obviously has no consciousness” (Hiley and Pylkkänen 2005, 22). More specifically, the quantum potential appears to be “some kind of internal energy which carries information about the environment. The whole process, particle plus active environment is being formed partly from within, requiring no external force to determine its future behaviour” (ibid., 19). In this way the quantum potential differs from the classical “push-pull” potential on the level of macroscopic objects like billiard balls. Hiley reminds readers that when considering the root of the word information, the original meaning is that of putting form into process, and together with Bohm, he considers information to be “a link or bridge between the mental and the physical sides” of reality (ibid., 23). Thus it is possible to disentangle the notion of mind from that of consciousness which is an evolutionary emergent property in matter of such complexity and organization as that characteristic of the human brain. This perspective, especially with its notion of a rudimentary mindlike quality associated with the quantum potential, may have implications that could demolish Dawkins’s central argument. This notion is perhaps all the more shocking because it has been postulated by eminent physicists, not by theologians like Teilhard de Chardin or other scientific apostates. Wolfgang Pauli, who formulated the famous exclusion principle and collaborated with depth psychologist C. G. Jung, expressed views similar to those of Bohm. Pauli wrote of the unconscious archetypes as cosmic ordering and regulating principles responsible for the patterned information and mathematical lawfulness to be found in the physical world. Pauli considered the archetypes to exemplify Bohr’s complementarity principle, being both mental and physical in nature. The exclusion principle, as the explanation of the ordering and complexity of elements on the periodic table, needs to be understood in light of Pauli’s philosophical thought as a whole, as outlined, for instance, by the late Kalervo Laurikainen (1988). I shall discuss the contributions of Pauli and Bohm in more detail in chapter 3. Suffice it to say that their epistemological position on the mind-matter relation is that of a relationship of complementarity or dual-aspect monism. In his concept of a “U-field,” Pauli regarded the unconscious as the psychological counterpart of the field concept in physics and just as much a reality as matter itself. The German word Pauli used for archetypal symbols was unanschaulich, which translates roughly into unvisualizable, “a metaphysical reality more material than what physics and depth psychology would characterise as real” (Atmanspacher 2011, 4). Matsuno (2000), in asking whether a biology of quantum information exists, addresses some of the biomolecular systems that might exploit quantum mechanical effects. His paper on this theme argued a detailed case for the proposition that quantum-level information is being processed in biological systems. Alluding to physicist Richard Feynman’s dictum that whatever humans invent, nature has arrived there first, Matsuno questioned whether biosystems had beaten humanity to the invention of quantum computing, proposing a “quantum mechanical model underlying a neuronal synaptic transmitter release based on a tunnelling process” (2000, 41). He then turned to the issue of measurement and, in adopting an internalist ecological perspective, proposed that a sequence of measurements proceeding internally generates information. Biological computations founded on internal measurement provide an irreversible enhancement of organization and quantum coherence. 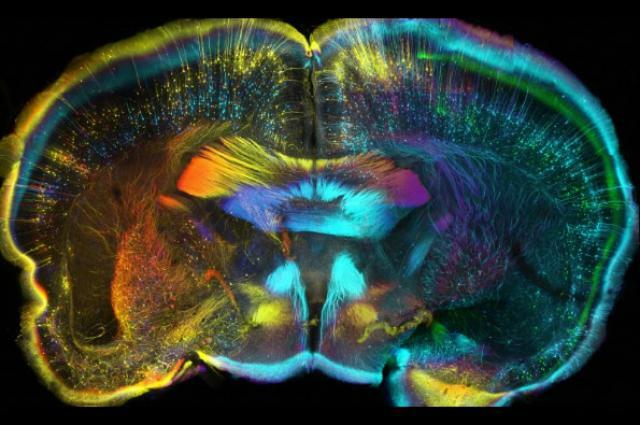 “Once it is accepted,” Matsuno argued, “that biological information processing has a quantum mechanical underpinning, two further concepts become important. Quantum coherence through exchange interaction and then the enhancement of this through quantum entanglement” (2000, 43). According to Matsuno, quantum information in biology focuses upon the capacity of molecules to approach global coordination from within. In now turning to the work of McFadden on adaptive mutation, the move from an implicit or unconscious investment in the externalist classical framework of evolutionary theory to the internalist quantum mechanical framework will be more fully explicated. As I have already implied, this is a shift from understanding evolution (including that of life and mind) in classical terms to understanding it in terms of the quantum laws that govern the internal and microscopic level of matter. Some readers might construe this perspective as being in a direct line of conceptual descent from thinkers like Teilhard de Chardin, for whom such developments in physics as those of quantum information theory and computing were not available. And yet much of the critique provided by proponents of neo-Darwinism seems to be stuck in a classical scientific framework of explanation, as though the quantum revolution had never occurred. So much so that, as Davies has put it, the “classical chance hypothesis” of the origins of life seems unsatisfactory. And I would add, the rule of chance may turn out to be itself a matter of secular religious faith! Furthermore, conceptualizing the genetic code as a quantum code permits a vastly enhanced computational speed made possible through multiple superpositions, so that greater numbers of errors in base-pairing and hence mutations could occur. Acting as biological quantum computers, biosystems, including cells and microorganisms, would be able to search multiple mutational states simultaneously, allowing for the selection of adaptive as well as random mutations, as McFadden and Al-Khalili (1999) have suggested. McFadden drew my attention to a paper by himself and colleagues on mutation in multiple drug-resistant strains of Mycobacterium tuberculosis (Ghanekar, et al. 1999). Their empirical work on this particular microorganism had provided what he described as “hints of the adaptive mutation phenomenon,” although further work was required to more convincingly “nail it to quantum mechanical effects” (personal communication, 2007). The truly revolutionary ideas in the publications of Matsuno and McFadden and his colleagues are those involving living cells acting as quantum measuring devices able to assess quantum processes occurring internally and the shift from a classical to a quantum explanation of such phenomena as mutation that may be adaptive rather than random in nature. Perhaps the greatest conceptual leap beyond the confines of neo-Darwinism is the notion that there may be much more to mutation than chance errors in DNA or RNA bases, resulting from either quantum mechanical processes or the external environment. More needs to be said, however, about the phenomenon of directed mutation and the implied challenge to traditional neo-Darwinian evolutionary theory. The inevitable “crunch” for Dawkins’s argument comes with the recognition that all biological phenomena involve the movement of fundamental particles such as protons and electrons within living cells and informational molecules such as RNA and DNA. (The term crunch is a metaphor from cosmology concerning the end of a process of contraction of the universe, reversing the expansion phase that has continued since the Big Bang.) As such, and as McFadden and physicists as far back as Schrödinger have known, movements of fundamental particles are best described by quantum rather than classical mechanics. Quantum phenomena occur in biological systems, although the implications have yet to be fully explored especially in the understanding of such deadly microbes as TB and HIV, which represent globally salient evolutionary challenges for Homo sapiens. These considerations, of course, have profound significance for attempts to illuminate the origins of life and other big-picture questions such as the emergence of mind and consciousness whereby evolution becomes both cultural and directed. However, the race to produce a viable quantum computer (by humans) is motivated in part at least by the spiritual quest to comprehend the evolutionary origins of life as well as the destiny of humankind. The information thus created will have an almost ineffable epistemological significance for humanity while contributing to a theology of the third millennium inspired by the same fire that breathes life into the equations of science. If as Hiley and Pylkkänen (2005) and others have suggested, even the quantum level can be thought to have via active information, a primitive mindlike quality, and if indeed nature has already invented quantum computing as an evolutionary tool, then the old classical view of the world is dead. Furthermore, mind, rather than being somehow miraculously added to the evolution of the universe, would be as intrinsic to it as Bohm’s implicate order or Pauli’s archetypal cosmic ordering and regulating principles. This sentiment, expressed sublimely in Bohm’s idea that humanity is the mirror reflecting the universe to itself, may represent a metaphorical crunch for Dawkins’s God Delusion, in which neo-Darwinism is more of a doctrine about nature rather than an empirical explanation of it, and for the absurdity of the intelligent design argument. Todd argues for the integration of science and religion to form a new paradigm for the third millennium. He counters both the arguments made by fundamentalist Christians against science and the rejection of religion by the New Atheists, in particular Richard Dawkins and his followers. Drawing on the work of scientists, psychologists, philosophers and theologians, Todd challenges the materialistic reductionism of our age and offers an alternative grounded in the visionary work taking place in a wide array of disciplines. Atmanspacher, H. 2011. Editorial. Mind and Matter 9(1):3–7. Bohm, D. 2002. The Undivided Universe. London: Routledge. Conrad, M. 1990. “Quantum Mechanics and Cellular Information Processing: The Self-assembly Paradigm.” Biomedica Biochimica Acta 49(8/9):743–755. Darwin, C. 1859. On the Origin of Species by Means of Natural Selection. London:John Murray. Davies, P. 1992. The Mind of God: The Scientific Basis for a Rational World. New York: Simon and Schuster. Davies, P. 2004. “Does Quantum Mechanics Play a Non-trivial Role in Life?” Biosystems 78(1–3):69–79. Dawkins, R. 2006. The God Delusion. London: Bantam Press. Feynman, R. P. 1986. “Quantum Mechanical Computers.” Foundations of Physics 16:507–31. Ghanekar, Kiran, Alan McBride, Odir Dellagostin, Stephen Thorne, Rachel Mooney, and Johnjoe McFadden. 1999. “Stimulation of Transposition of the Mycobacterium tuberculosis Insertion Sequence IS6110 by Exposure to a Microaerobic Environment.” Molecular Microbiology 33(5):982–993. Hiley, B. J., and P. Pylkkänen. 2005. “Can Mind Affect Matter via Active Information?” Mind and Matter 3(2):7–27. Küng, H. 2007. The Beginning of All Things: Science and Religion. New York: Eerdmans. Laurikainen, K. V. 1988. Beyond the Atom: The Philosophical Thought of Wolfgang Pauli. Berlin: Springer-Verlag. Matsuno, K. 2000. “Is There a Biology of Quantum Information?” Biosystems 55:39–46. McFadden, Johnjoe, and Jim Al-Khalili. 1999. “A Quantum Mechanical Model of Adaptive Mutation.” Biosystems 50(3):203–211. Penrose, R. 1999. The Emperor’s New Mind: Concerning Computers, Minds, and the Laws of Physics. Oxford, UK: Oxford University Press. Penrose 2004. The Road to Reality: A Complete Guide to the Laws of the Universe. London: Jonathan Cape. Popp, Fritz-Albert. 1989. “Coherent Photon Storage of Biological Systems.” In Electromagnetic Bio-Information, edited by Fritz-Albert Popp, Ulrich Warnke, Herbert L. Konig, and Walter Peschka. Munich: Urban and Schwarzenberg. Schrödinger, E. 1992. What Is Life? With “Mind and Matter” and “Autobiographical Sketches.” Foreword by Sir Roger Penrose. Cambridge, England: Cambridge University Press. Shalom, A. 1989. The Body/Mind Conceptual Framework and the Problem of Personal Identity. Amherst, NY: Prometheus Books. Teilhard de Chardin, P. 1964. The Future of Man. London: William Collins and Sons. Todd, P. B. 2007. “The Neglected Holocaust.” The Griffith Review 16 (Winter): 195–202. Todd, P. B. 2008. “Unconscious Mental Factors in HIV Infection.” Mind and Matter 6(2):193–206. A 1573 painting by Portuguese artist, historian, and philosopher Francisco de Holanda, a student of Michelangelo's, envisions the creation of the Ptolemaic universe by an omnipotent creator.